Here you will find useful information on a variety of topics to help you make intelligent choices on dealing with any pest problem. We have provided links to help you learn more about our industry, register for our NJDEP Accredited Classes and More! NJPMA provides our members with continual training, comprehensive treatments and latest technology to ensure the best possible results. For more than 40 years, this annual designation acknowledges the industry's ongoing commitment to the protection of health, food and property from common pest threats. Find out how you can join in the month-long celebration using social media. Join us Under the Tent! The NJPMA Clinic, Trade Show and Clambake Returns to Rutgers University - August 15, 2019. 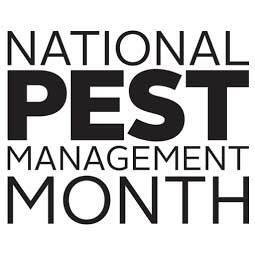 New Jersey Pest Management Association members are trained to bring you the most comprehensive treatments using the latest technology. We work closely with the NJ DEP to bring continual training to industry technicians. We educate students in Integrated Pest Management (IPM) to deliver the most effective treatments by employing through inspections, monitoring, and only then using the least amount of effective materials to achieve the highest quality results you deserve. 72nd Annual Clinic, Trade Show and Clambake! Attendee Registration Opens June 1st! These courses allow you to become a NJ DEP Licensed Pesticide Operator, Applicator or can be used as credits for Re-Certification. Our workshops are held several times a year. NJDEP Credits can be earned at most events.